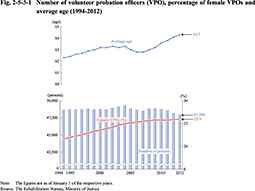 Volunteer probation officers (VPO) can be assigned to any one of 886 probation districts (as of April 1, 2012) nationwide where they engage in rehabilitation services that include implementation of probation/parole supervision, crime prevention activities, etc. Fig. 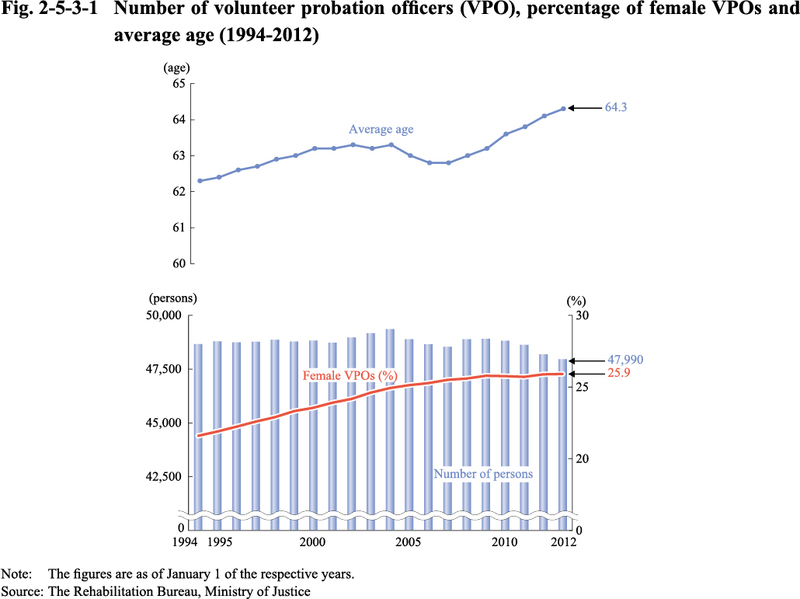 2-5-3-1 shows the number of volunteer probation officers, percentage of female VPOs, and average age. Fig. 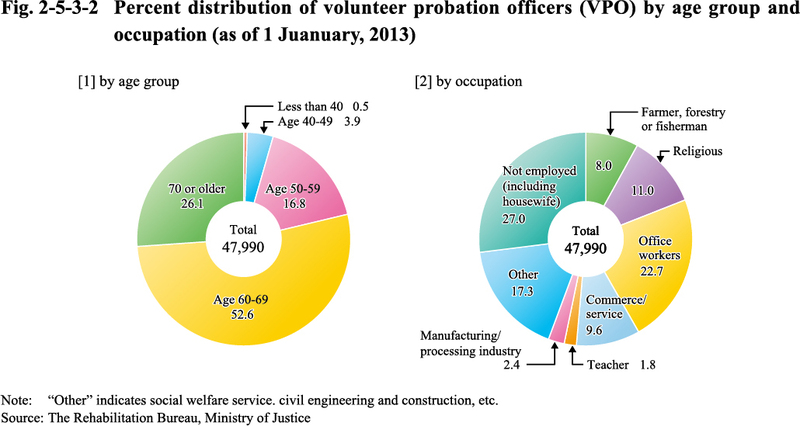 2-5-3-2 shows the percent distribution of volunteer probation officers by age group and occupation.